While condensing its spirit body, the Immemorial Demonic Flame was still aware of every activity around it. It was extreme, indeed. When the Nine Serenities Soul Devouring Flame had just arrived, it hadn't had enough time to pressure it. The Immemorial Demonic Flame bound it immediately, dragging the Nine Serenities Soul Devouring Flame towards its life core. Seeing the dangerous situation, the Vermilion Bird True Flame didn't contact Shi Yan but instead turned into the flaming Vermilion Bird True Flame. It stormed like a burning light towards the Immemorial Demonic Flame, which was condensing the body. 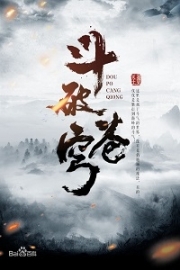 At the same time, Ouyang Luo Shuang with her icy face also sent her icy horned dragons from the sky. The icy power they brought was strong enough to transform the soul. Although Na Xin had a high realm, he didn't enter this extent with his real body. He was here with only the soul altar. His power couldn't be urged to the peak. However, he still used the power of the Ethereal Extent to resist this Incipient Extent forcefully. He had earth-shakingly stirred up this green soul sea. Na Xin had borne the greatest pressure among the three warriors. It was unknown why the Immemorial Demonic Flame could use the power of the Incipient Extent. It seemed that this Incipient Extent had a subtle but miraculous connection with the flame. Although it was just part of the energy of the Incipient Extent, the eerie green soul still had an immense power. It continually released the strange aura that could attack the souls, making them shiver. While the Immemorial Demonic Flame was condensing its spirit body, it closely cooperated with the green soul sea, which could shake the entire Incipient Extent, supporting the Immemorial Demonic Flame to create the spirit body. 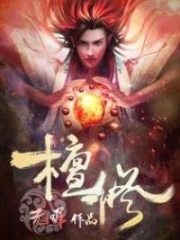 Na Xin used his soul altar to control the Ethereal Extent's power to create the special collision between the two extents. Temporarily, he could subdue some magical abilities of the green soul sea. Seeing the Nine Serenities Soul Devouring Flame get bound, Shi Yan had his eyes turn garnet immediately. He didn't hesitate, entering the Third Sky of Rampage Realm instantaneously. Negative energy gushed out from his entire body. The b.l.o.o.d.y murderous Qi was as thick as plasma, shooting and condensing a giant b.l.o.o.d.y hand in front of him. It then grumblingly pressed down. The desolate aura multiplied as the giant b.l.o.o.d.y hand seemed to be able to wipe out all living beings. The Immemorial Demonic Flame, which was still condensing its body, got pressed down by the b.l.o.o.d.y palm. The ma.s.sive beast was stagnant, its progress stopped. This attack was much more effective than Ouyang Luo Shuang's abilities. The Dead power Upanishad could eliminate vitality. The Immemorial Demonic Flame needed a ma.s.sive amount of life energy, blood, and flesh to fabricate its body. While it was being built, Shi Yan's Dead power Upanishad had directly slaughtered its vitality. While the Dead Seal could wipe away life, the Soul Burial Ground of his Dead power Upanishad could absorb vitality. 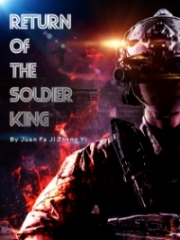 Thus, seeing the Dead Seal work, Shi Yan immediately expanded his G.o.d Domain, covering the green soul sea and the body that the Immemorial Demonic Flame was trying to condense. The extremely cold and dismal aura emitted from his body. A flow of dead energy gradually surged like layers of waves. White light spots flew up from the soul sea, congregating in the Dead G.o.d Domain and moving towards Shi Yan's G.o.d Body. While the beast was slowly building its spirit body, its body was now half real, half illusion although it still had light dots of vitality. They slowly floated up like the fireflies. They were guided by an unknown force that the Immemorial Demonic Flame didn't know, all flying towards Shi Yan. All of a sudden, the Immemorial Demonic Flame sent a gleam of fright and anxiety. The body of that ominous beast started to fade away. Shi Yan wore a cold visage. He didn't say anything while approaching that beast. His Soul Burial Ground was maximized. An empty, desolate aura filled almost this entire foreign land. The frightful, lively eyes of that beast showed an extreme pain as it was struggling hard. All of a sudden, the beast glared at Shi Yan with a deep grudge. The spirit body it could have been able to build faded slowly, turning into nothingness. The illusionary form of the beast disappeared. A green flame with a gold halo suddenly flew up. An unrecognizable energy of Nature rippled vehemently from the core of the foreign land. Shi Yan and Na Xin were kicked out by that unknown force. 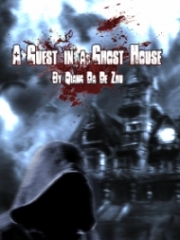 They were hurled out of the dead soul's evil lair directly. Just like the two of them, the shiny green flame appeared visibly in the Dead Soul Mountain Range. It didn't hide in the spooky green soul sea anymore. Something exploded in the void. The power that could seal all auras of creatures emerged above the Dead Soul Mountain Range. The Vermilion Bird True Flame disappeared all of a sudden. Shortly after, the Ice Cold Flame, the Yin Spirit Ghost Flame, the World Extinguishing Thunder Flame, and the Corpse Vanishing Flame were guided by an unknown force, flying to this place from different corners of Grace Mainland. However, they all disappeared almost instantly. Shi Yan could feel that those heaven flames weren't far from him. However, he couldn't see them and was only able to sense them using his soul. "This is our battle. He quit condensing the spirit body to follow the heaven flame's rules. He has cleaned himself of contaminants, turning back to the life form and intellect of a heaven flame. At this moment, it has temporarily stopped the process of becoming a real creature. He wants to use the instinct of devouring the other heaven flames to absorb us. After that, he can be a new life form to complete himself." A thought from Vermilion Bird True Flame was sent to Shi Yan. Shi Yan was frightened, his face stiff and tense. "Can you be certain about this?" "I will try my best. He has swallowed Purgatory True Flame. He's the only combined one among us. His life form has ascended. It is hard to deal with him now. Perhaps, we have to consume your soul energy and vitality..." said the Vermilion Bird True Flame. "Once you guys know that you can't defeat him, inform me immediately," Shi Yan expressed himself. "I will support you as best as I can." A faint green light appeared by Shi Yan and Na Xin. A graceful figure descended. It seemed that she temporarily got control of the Incipient Extent when the Immemorial Demonic Flame left. She was now able to enter and leave the dead soul's evil lair as she pleased. She lifted her face to look into the void and she spoke naturally, "I can't see them." She glanced at Na Xin. Her face became strangely solemn as she said respectfully, "Precursor, you are very powerful." 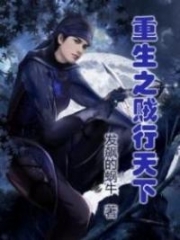 When Na Xin was in the Incipient Extent, he was just a soul altar, so he couldn't use much of his energy. Since it was Ouyang Luo Shuang's territory, she hadn't observed Na Xin's realm yet. However, after they were kicked out of Incipient Extent, Na Xin had brought his soul altar back to his body. A pressure that covered the entire sky shook her G.o.d Soul even though Na Xin wasn't threatening them at all. "Little girl, you have the Incipient Extent's inheritance. You've fused the icy power and the moonlight power. Your future will be bright," Na Xin laughed, "Once that flame is defeated, you will officially control that Incipient Extent. When you've reached the Original G.o.d Realm, the Incipient Extent will become your personal s.p.a.ce, which will be very useful. You're very lucky..."
Na Xin gave her a lot of compliments, his face envious. Ouyang Luo Shuang had treated him with great respect, speaking carefully. "I will try my best." Shi Yan didn't intervene. He was frowning. In fact, his face has never been so grim. His soul altar became very sensitive. Wisps of his Soul Consciousness moved like shuttles between the double-layered s.p.a.ces, connecting him to the heaven flames. Gradually, his communication with the heaven flames was forcefully lost. The battle between heaven flames had come to the fiercest moment. They didn't have free time to send Shi Yan even a thought. Those heaven flames were bound by chains of Nature. They were locked in a s.p.a.ce in the chaotic s.p.a.ce basin. Without his s.p.a.ce power and the connection with the heaven flames, he could never feel them. That area in the chaotic s.p.a.ce basin was very magical. It was a place that his Soul Consciousness has never sensed before. In that area, marvelous powers Upanishad appeared as if they were sources of energy in the world... However, his true body couldn't get there. The Soul Consciousness wasn't the G.o.d Soul so no action or touch was true in that place. He had also used the connection with the heaven flame to catch a little bit of it. However, he couldn't observe the whole picture. It was somewhere far away, but sometimes it was very near. This ever-changing feature made his soul dizzy. "You've been interlinked with the heaven flames. Have you fused with them or do you just simply supported each other?" Na Xin suddenly asked. Shi Yan was surprised for a while. He slowly pulled his spirit, self-conscious again. "I haven't fused with them. I've built a tier in the soul altar to give them shelter." "According to legends, many strong existences consider that area an ideal cultivating place that they desperately yearn for. But they never had a chance to get in. People who have a chance to get there often perish. It's because when the G.o.d Soul fuses with the heaven flames, it will hold the heaven flame down. Then, the heaven flames can't use their best ability. When they have to compete against other unowned heaven flames, you can guess the result. The other flames would swallow it. Thus, they don't benefit from it. Only very few people succeeded in getting there once. He must fuse with another heaven flame to visit a second time. They said that the mysterious area where the heaven flames fight against each other is the best cultivating area in the world..."
Na Xin explained slowly in a low voice. He gazed at Shi Yan, not concealing any important information. Shi Yan listened to him attentively, his face yearning. "What a pity that I haven't fused with the heaven flames. We are just coexisting. I think I won't have such a good opportunity." "An archaic continent with Origin can have heaven flames. Rumor says that if someone could collect all the wisps of Origin, he or she can enter that place freely." Shi Yan frowned, recalling what the Spirit Ring had advised him. It asked Shi Yan to gather all the heaven flames and refine them before entering the Original G.o.d Realm. Is it true that the Ring Spirit wanted to facilitate him to visit that best but unrecognizable cultivating place? 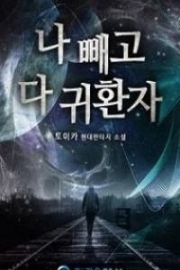 You're Read God Of Slaughter Chapter 900: Mysterious, Unrecognizable Land online at NovelOnlineFull.com. You can use the follow function to bookmark your favorite novel ( Only for registered users ). If you find any errors ( can't read,broken links, can't load photos, etc.. ), Please let us know so we can fix it as soon as possible. And when you start a conversation or debate about a certain topic with other people, please do not offend them just because you don't like their opinions. You're reading God Of Slaughter. This manga has been translated by Updating. Author(s): Ni Cang Tian,逆蒼天. Already has 1557 views. Current Time is 18-Apr-2019 12:24:20 PM.